56V Li-Ion 30 Minute Charger The EGO 56-Volt Lithium-ion Rapid Charger monitors and controls each cell in the battery pack to control temperature for maximum battery life. The active cooling fan system and advanced communication with the battery supports rapid charging without overheating. 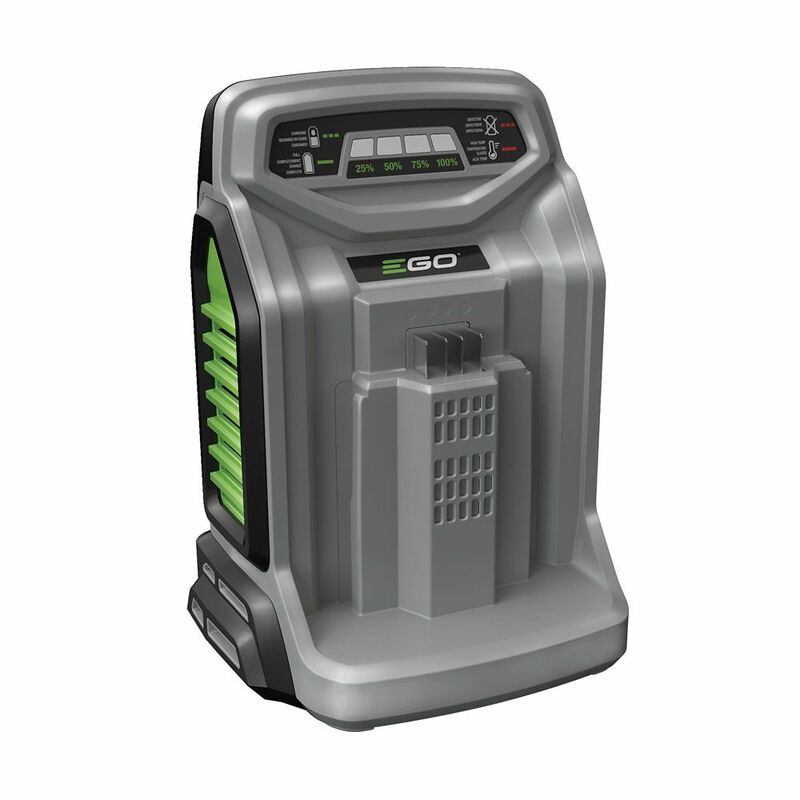 The rapid recharge capability ensures limited downtime with any battery in the EGO platform. 56V Li-Ion 30 Minute Charger is rated 4.9 out of 5 by 250. Rated 5 out of 5 by YESSSSIRRR from Battery and power & rapid charger I haven't use my lawnmower yet but did charge battery in less the 30 minutes. Rated 5 out of 5 by Bkmcc from I like my new EGO Very reasonable charge time and super easy. Very light weight. Rated 5 out of 5 by Mikki from Power+ Rapid Charger Very pleased with the short time needed for a full battery charge. Rated 5 out of 5 by jk from Much faster charging. Much faster charging.